Over the past couple of months, I’ve seen this question asked multiple times on many fora. Facebook, email lists and forums have all seen people looking at CGM asking the same question, or a variation of the question. Which manufacturer’s solution is best? And the answer from the crowd seems to be invariably “Go look at Dexcom”. But is Dexcom really the best CGM solution FOR YOU? That’s a very different question. As a precursor, I’ve used the Abbott Freestyle Libre, Dexcom G4, Dexcom G5, Medtronic Enlites with Guardian 2 (release 1 & 2) and with the Minilink transmitter. I’ve not tried the Guardian Connect solution, and as a result, I’m not sure the answer is as straightforward as “Which is best?”. So let’s take a step back and look at the usual collective answer, which seems, invariably, to be Dexcom. Reversing out of this, one might ask the question, which Dexcom and why? When people answer the question, the two things that are normally foremost in their mind are “How accurate is it?” and “How much does it cost?”. But we should also put the context of the answers in place. Individual experience plays a huge part in the response. This is why the system matters. If you ask in many of the groups on Facebook, where it often comes down to Medtronic v Dexcom, the experience of both is, for the most part, Medtronic Enlite Sensors with Minilink transmitter (US users have not been able to use the Guardian 2 with their pumps as this, up until recently, has only been available with the European/WW pumps) versus a mixture of G4 and G5 systems from Dexcom. In both cases, the sensors don’t change between Dexcom G4 and G5 and Medtronic current Minilink users and Guardian users. The Enlite sensors were released in 2014 and updated in early 2015, after many people used a Medtronic system, ditched it, and moved on to Dexcom. Why is this data important? Because it plays a key part in understanding some of the biases that may be prevalent in the discussions taking place. Given this accuracy table, you’d expect the recommendations based on accuracy to reflect equally on the Dexcom G4 with 505 (Only available in the US), the G5 (available globally) and the Medtronic Guardian 2 (R2) system. But far fewer people have used this version of Medtronic, so the collective evidence base in much lower. And don’t underestimate the power of bad experiences. This is why you will generally see the Dexcoms (of both types) recommended. Recommendations also bring into account the cost of the system, and from any perspective, the longer life you can get out of an individual sensor, the better, and the lower the start up cost, the better. On this footing, the Dexcom system nearly always wins. In the UK at least, the start-up cost for G5 is £200 for a transmitter and £55 for the sensor. 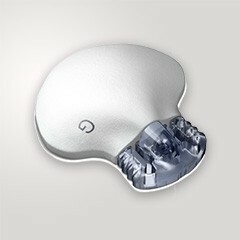 For the Medtronic it’s around £375 to get started and £55 per sensor with 6 day stated life. And of course, we mustn’t forget the Libre, for which it is now £53 (including postage) per 14 days if you use the LibreLink phone app. There’s a clear difference on start up costs. Anecdotally there are people who manage up to 80 days on the Dexcom with a G4 transmitter and 19 with the Medtronic/Guardian 2 configuration. I’ve never seen anything like either of these. If you are paying for your own though, this becomes very important. Even if we use my averages, at, on average, around £50 per sensor, the less frequently you have to buy a new one, the better! If cost is your ultimate driver and you can’t afford the set-up costs, then really, you’re in Libre land. If you can afford the set-up costs, there seems to be cost comparability towards the Dexcom. From these two sets of data alone, you can see that someone in the US who has only had access to Medtronic using a Veo with Minilink transmitter probably wouldn’t choose the Medtronic solution if all they were interested in was CGM, and this is why the groundswell of opinion tends towards the Dexcom solutions. Add to this that both Animas Vibe pumps and T:Slim pumps support Dexcom CGM integrated into the pump, and you can further appreciate the benefits of the response from stateside. A few may use the Low Glucose Suspend feature on the more recent US Medtronic pumps, but that seems to be a limited number of users. But what if I’m in Europe? Then your options are different. You have access to something that’s only recently become available in the US. The newer transmitter set up from Medtronic. Which is vastly superior, in my experience, to the Minilink. Both in terms of accuracy and following blood glucose levels, but also in range and connectivity. It seems to retain a connection much more effectively than the Minilink. It also has the added benefit of storing the last 10 hours of data, so if you lose connection to the pump, you still have the data (rather like the Libre). This is a benefit that I think is hugely ignored, and one that I found very useful. And more importantly, for the best part of two years, you’ve also had access to the 640G, which, if you were interested, allowed you to use SmartGuard. And when I say SmartGuard, I mean the full predictive low glucose suspend functionality that I’ve written about extensively before. At this point you are no longer just choosing CGM. You are choosing something a lot more. It’s not just a pump with an integrated monitor, it’s a pump with a an additional level of “intelligence”. For many people, this is just as important as the CGM on its own. You’re no longer comparing apples with apples. 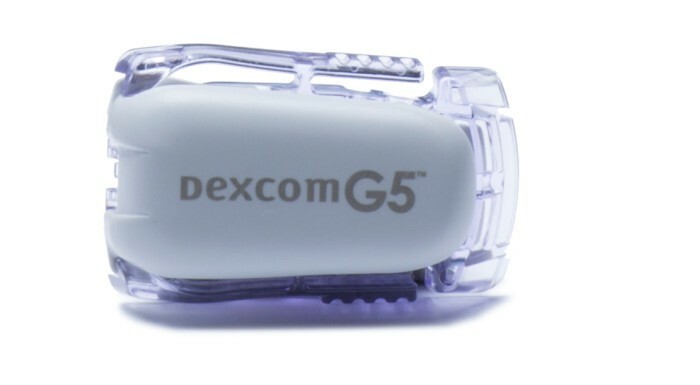 Of course, the Dexcom G5 also has the “official” sanction for being used to bolus, without a finger prick test, but my experience with the 640G and G2 transmitter was that it was also good enough. Some may not like the official sanctioning, but that’s a choice you can make. So if you’re sticking within the official framework of devices and systems, I’d suggest it’s always worth asking for a trial of any of the systems available before making a decision to purchase. If I was sticking to the normal set of products, I’d choose the 640G over running a standalone Dexcom, because the benefits are much greater. There is nothing else like Smartguard (until the 670G comes along). I want to go #wearnotwaiting though….? This, again, is likely to change your perspective. If you want remote monitoring, then Dexcom is easier to make this work with, but there are tools to do it with Medtronic. If you want to run an artificial pancreas, then the OpenAPS system works with Minilink and Dexcom (and I’ve run both). Dexcom’s accuracy makes it a better bet, in my book. There are also tools to include the Libre with the NightScout system. You can use all of the above, but most of the work has been done with the Dexcom. That’s a very difficult question. Whilst I recognise that some people have issues with the Enlite system, I’ve always got on well with it and given the choice of currently available tech, would always go for the Medtronic 640G and Guardian 2 solution if selecting a wholly manufacturer based system, simply because it is so much more than a Pump with Integrated CGM. For doing the OpenAPS stuff, while I do use Enlite and Minilink, the Dexcom better accuracy really provides better results. If cost is your biggest issue, you’re likely to get the best total cost of ownership using Dexcom G4, but you’ll have to do some of your own soldering to get what you need. Returning to the original question, what’s the best CGM? It’s the one that does what you need it to. Context is everything. Whichever you choose to go for, it’s always worth thinking about the experiences of those you have asked for advice. Especially in the context of the CGM world. Globally, all Medtronic experiences are not equal, and neither are all Dexcom G4 experiences. If you’re looking for advice on Medtronic v Dexcom, and you’re getting a pump in Europe, ask the Europeans what they think. You may well get a different answer from those in the US.